Show off your skills!!!! 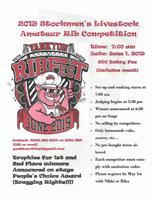 2019 Stockmen's Amateur Rib Competition!!! Call, message or email to enter! Online registration will be available soon!! !